Showing 1 of 196 reviews. Good grip on the subject, very good delivery. I was a very good and informative session. the explanation was with the real time case. case studies which helped to understand the concepts. Instructor's knowledge of the subject was v.good. Will certainly help me in doing job in a better way. I had a very clear understanding of devops training. The classes were interactive and had good lessons to cover up the fundamentals. Good Overview. Good for beginners. Trainer and Exercise with courses is good. IT was informative because I could correlate it with my work thank you. Fantastically explained the concept with context. Excellent teaching, learnt many new concepts. Very good instructor / trainer. Girish is an inspiration to learn. Real good good course. Can include practical scenarios as examples as well. The instructor however was too good quoating the real life scenarious. Good. Instructor was good & knowledgeable. The training was very interactive and the Trainers personal experience helped a lot. Enjoyed the extra pieces of information provided by the trainer. Explained very well , with lot of examples which was very interesting and productive. Gain good knowledge. There are certain errors in the course material which should be eliminated. Very happy and thankful with the training. Concepts were clear. Quint Wellington Redwood Quint is a global, independent management consulting and training firm specializing in IT Management and IT Service Management Consulting and Education. 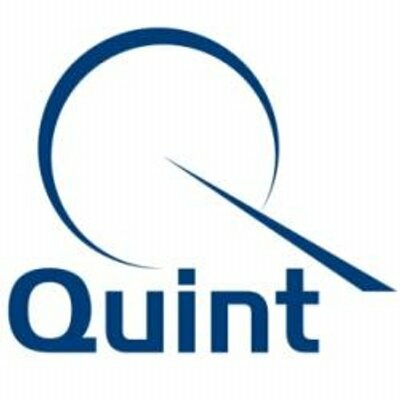 Founded in 1992, Quint is headquartered in Amstelveen in the Netherlands and has long been a recognized industry leader and innovator in the field of IT Management, IT governance, ITIL and IT Service Management best practices. Quint operates globally from offices throughout the Americas, Europe, and Asia. Quint has delivered in excess of 20,000 courses covering multiple IT management and service management standards and qualifying well over 100,000 students at Foundation, Practitioner and Service Manager Levels of ITIL Certification.